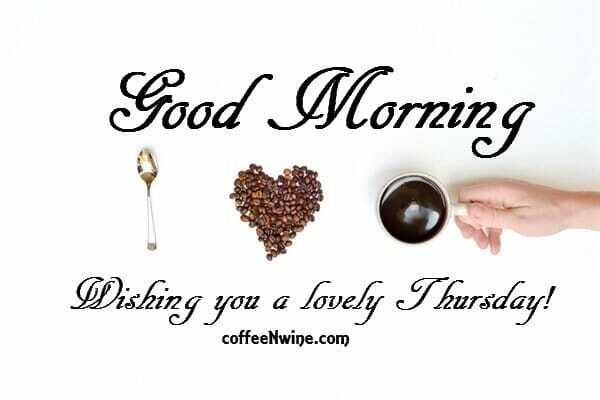 Thursday Morning Coffee: On Thursday morning I would like to wake up, grab my cup of coffee and give thanks for the many blessings that have been brought upon me and mine. Below you will find thursday morning motivational quotes, thursday coffee images, thursday coffee quotes and more. 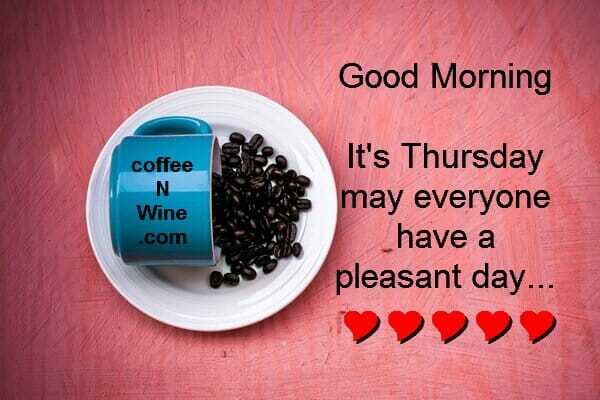 It’s thankful Thursday Morning Coffee. Quick tell me at least 3 things you are thankful for. How many things can you give thanks for in one minute, 5 minutes, the hour? The time it takes you to drink your morning coffee? I like to give thanks that my kids are taken care of. That we have a roof over our heads. That we all have food on our tables. And that everyone is healthy. And above all I want to give thanks to the guy upstairs for making it happen. I try to live a simple life. I don’t ask much out of life. Most of the things I need are provided for. Lots of money, a big fancy house or a flashy car are things that I could live without. They would be nice, but they are not required for me to be happy. As usual I like to make some graphics for my post and a little video to go with it. I’m definitely not a video producer I just make simple things I hope you like and share them though. I found some quotes and I turned them into graphics below. Please share them on Facebook, Twitter, Pinterest or G+. Happy Thursday Morning. Make great things happen today. Morning Coffee Fact. 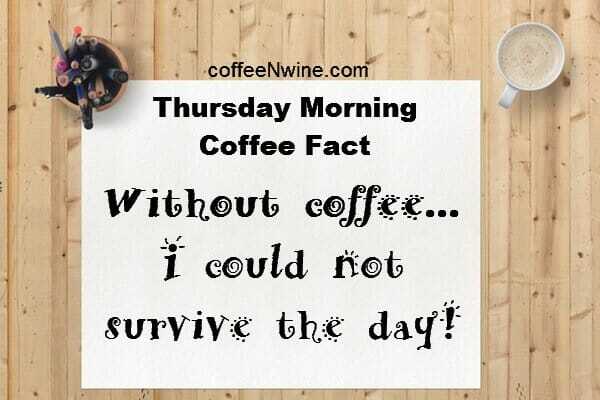 Without coffee I could not survive the day. Happy Thursday. Enjoy your day. 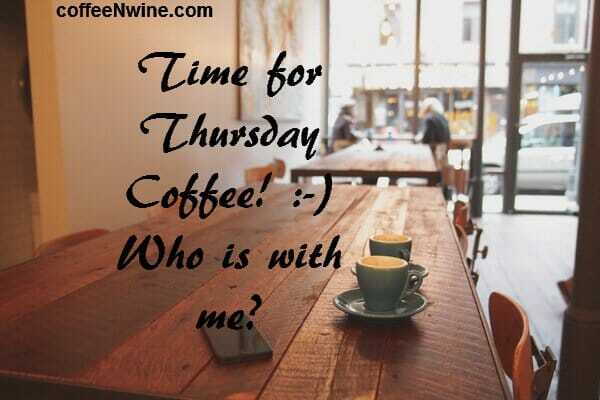 Time for Thursday coffee! Who is with me? What are you thankful for? Let us know in the comments below. 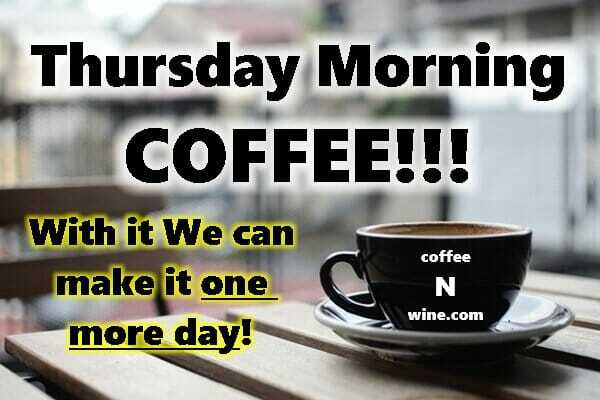 We hope you have enjoyed this post ” It’s Thankful Thursday Morning Coffee Day ” please share it.